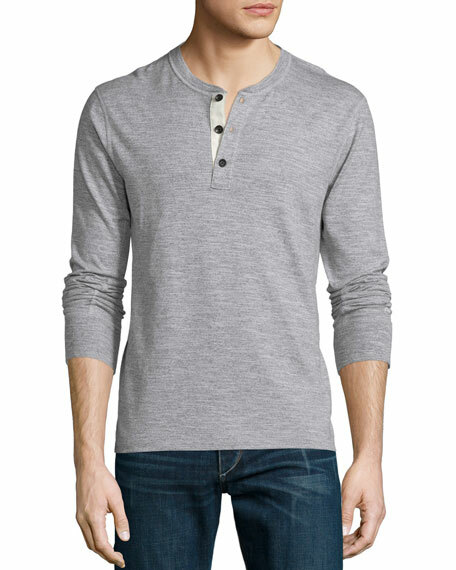 Rag & Bone Standard Issue basic henley shirt. For in-store inquiries, use sku #709690. 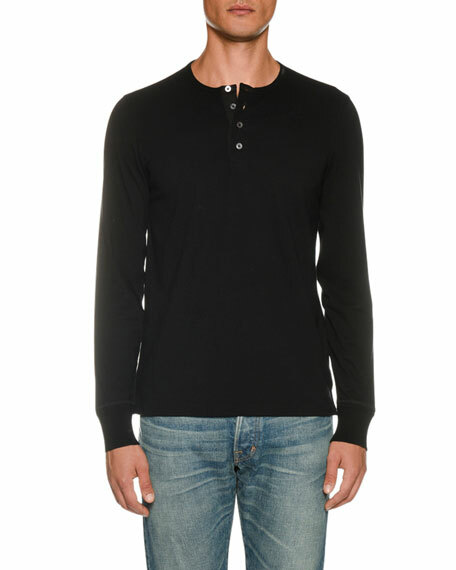 TOM FORD henley shirt. 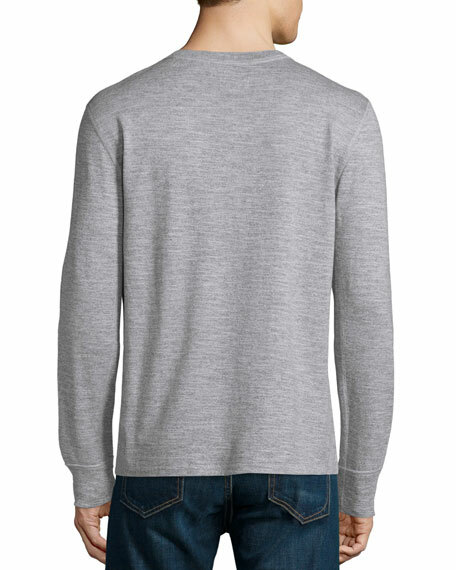 Crew neckline; four-button placket. Long sleeves. Straight hem. Pullover style. Cotton; cotton/cashmere trim. Made in Italy.